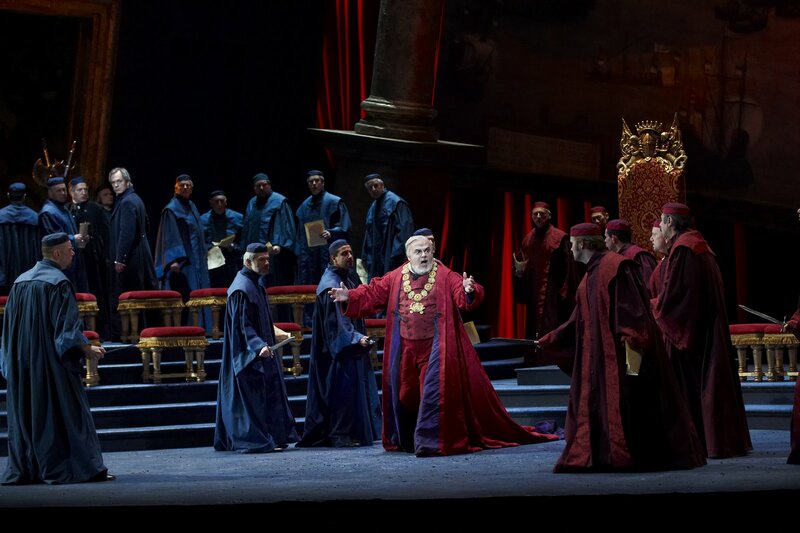 The big news this week is the start of the COC spring season, which kicks off with the first revival of Verdi's Simon Boccanegra in 30 years. In the title role is Italian baritone Paolo Gavanelli, who has sung in many of the great opera houses in the world, including the Met, Covent Garden, Vienna, La Scala, Paris Opera, Munich, and Naples. We are very fortunate to have a singer of his stature in Toronto, and I am very glad to see John Terauds' article on him in the Star the other day. There is just not enough arts coverage in print media these days, so it was good to see this article. 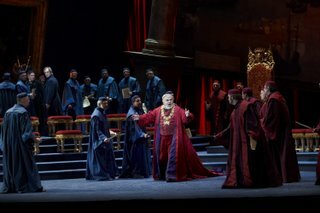 Boccanegra is one of his signature roles, the other being Rigoletto. The Amelia is American soprano Tamara Wilson. Billed as a "Verdi soprano", I look forward to hearing her for the first time. The winner of several awards, Wilson was a finalist in the 2004 Met Auditions, as well as a winner of the George London Award. Russian tenor Mikhail Agafonov returns as Gabriele, Canadian bass Phillip Ens is Fiesco; and Marco Guidarini conducts. Performances take place at the Four Seasons Centre on April 11 and 14, at 7:30 pm. At the Toronto Symphony, Russian pianist Yefim Bronfman returns to Toronto to play Brahms Piano Concerto No. 2, conducted by Peter Oundjian. Also on the program are Peer Gynt Suite and Nielsen's Symphony No. 5 (April 15 and 16 at Roy Thomson Hall) On April 17th 8 pm, the reigning American prima donna Renee Fleming returns to Roy Thomson Hall as part of its International Vocal Series, in a program of songs by Handel, Dutilleux, Messiaen, John Kander and Richard Strauss, with Hartmut Hoell at the piano. If you are still looking for a sacred concert for Easter, do give the Empire Theatres a try. They are showing Handel's Messiah in HD on Saturday April 11 1 pm, featuring the choir from King's College, Cambridge. This performance was taped live on April 5, transmitted live into cinemas across Europe and to select locations in the US. We are getting it on a delayed basis this weekend. In Toronto, the performance will be shown at Empress Walk (5095 Yonge Street in North York) and at Square One (100 City Centre Drive in Mississauga).